Raid in France has settled as the leading adventure race in the French outdoor realm, a sport experiencing a sharp expansion with nearly 200 races organized throughout France, with more than 35.000 enthusiasts. No other race is remotely like it: an adventure race in total autonomy. The concept is simple: 4 racers (including at least one woman) completely immerged in the wilderness for a 5 to 8 days non-stop adventure. The route remains secret until the race starts. The itineraries are uncovered in real time by the participants during the race. Having participated to the world’s biggest races, the organizers of Raid In France can bear witness to the diversity of French territory; with perfect settings for adventures as exotic as South America, Africa or Oceania. Raid In France race adventure requires serious training. Routes and race layouts are known to be extremely demanding. Teams sign up for a minimum 96 hours of non-stop sports. Raid in France was founded by Pascal Bahuaud and Bruno Vinualès, both passioned by adventure raids. Pascal Bahuaud, olympic rowing finaliste in 1988 at Séoul and 13 times french rowing champion, competed in 10 Raids Gauloise, finishing second 5 times and third twice. At his side in organising the raid are a group of sportive friends : Thierry Grisard, doing all the route inspection with Pascal, and also Gilles Zok (who has a string of world titles in kayaking), Michel Denaix, Mister orienteering, and many others. The race lasts 5 to 7 days: approximately 500km in a nonstop progression (day and night), about 20.000 meters of uphill climb. GPS and any other artificial navigation system are strictly forbidden. An accounted total of 120 to 170hours of nonstop adventure racing. Raid in France organised from 4th November to 16th November 2018 the Adventure Racing World Championship (ARWC). This edition took place in Reunion Island. From 2 to 10 of June 2017, Ardèche Department hosted the 9th french édition of the ARWS. From the lake of Devesset, 32 teams taken the start for this long raid of 430 km and 12 000 m of vertical gain. 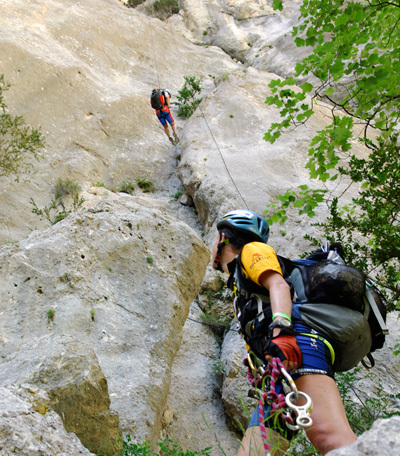 In the program : trekking, MTBiking, kayak, caving, climbing and sailing. Race highlight: loop course, 32 teams ranking, whose 12 in full-race. Ranking : The team “Lozère Sport Nature” (France) won the race, then came “400 Team Naturex” (France) and “Gravelines Tri DSN74 – Scott Hoka” (France) arrived 2nd ex-aequo. From September 4 to 10 2016, Raid in France took place in the Languedoc Roussillon Midi Pyrénées region, with a start in Font-Romeu and arrival in Saint-Pierre-la-Mer, on the shores of the Mediterranean sea. A non-stop adventure in complete autonomy which allowed the racers to discover the amazing landscapes of the Pyrénées Orientales, Ariège and Aude departments. 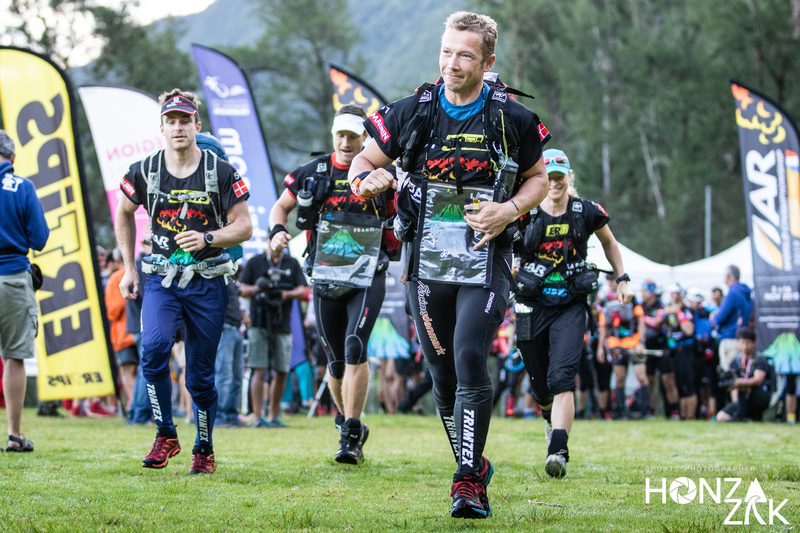 In total, 30 teams coming from 10 countries, among them the defending world champions, New Zealand team Seagate, took the start of this 430-kilometer-long adventure, with 16 000 m of vertical gain. Among the activities of this non-stop expedition: trekking, rafting, mountain biking, canyoneering, ropes activities, kayaking and caving. Ranking: The team “Seagate”from New-Zealand finished first after the French teams “400Team Naturex” and “Les surprenants RaidsAventure.fr”. From September 16 to 20 2015, the Ain department hosted the 7th edition of the Adventure Racing World Championship French race. On this occasion, Hauteville-Lompnes, located in the Ain department, welcomed 43 teams from all over the world. The participants engaged in a 380km long race, with 12,000m of vertical gain, across spectacular but barely explored landscapes. Activities included trek, mountain bike, stand up paddle and so on. Ranking: The French “400Team Raidlight” won the 2015 race ahead of the Spanish team “Columbia Vidaraid” and the French team “FMR”. This international sports-event went throught the Auvergne region, starting from the town of Puy-en-Velay (Haute Loire) to Grau du Roi which is located in the Languedoc-Roussillon region, passing by the Ardèche, the Lorèze, the Gard and the Hérault departments. There were in all 35 high level teams, coming from 15 different countries, that participated in this non stop adventure, in total autonomy. Ranking: The French “400Team Raidlight” ranked top on the 2014 race, before the local teams “Lozère Sport Nature” and “Arverne Outdoor”. The Adventure Racing World Championship was in France for the first time ! Raid In France has organized the Adventure Racing World Championship in France in 2012, from Septembre 14 to 22nd. It was an international sports-event that will go through the Provence-Alpes Côte d’Azur region, from the town L’Argentière-la Bressée (Hautes-Alpes region) to Roquebrune-Cap Martin (Alpes maritimes), passing by the Ecrin, the Queyras and the Mercantour national parks. More than sixty high level teams, coming from about thirty different countries, have participated to these seven days of non-stop competition in complete autonomy. 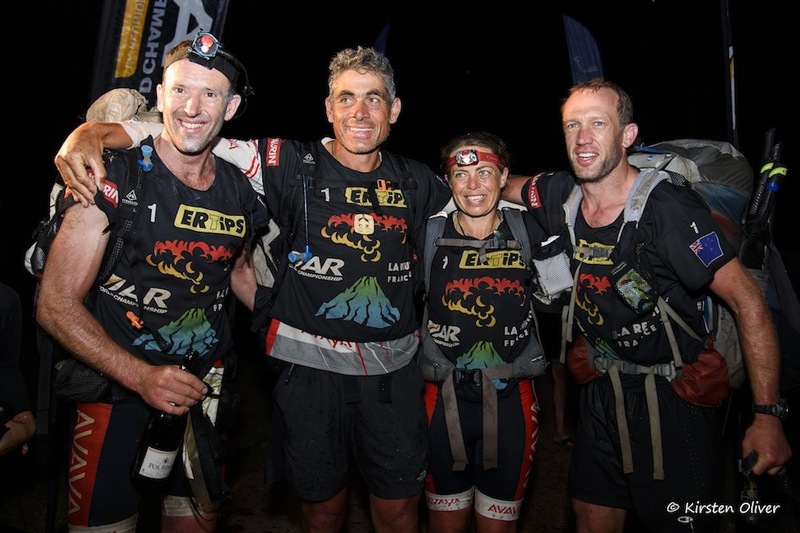 A challenging set from the ARWS circuits combining “long distance” race adventures organized each year all over the world, and qualifying for the final leg of the competition. Raid in France’s 4th edition took place from August 28, to September 1, 2011. Teams crossed the Drôme and the Hautes-Alpes regions; particularly the Baronies Provençales natural park. Race highlight: 46 teams participated to this edition, 17 of which arrived after the deadline. Ranking: team “Quechua.com” (France) won the 2011 race, then came “OS-Direct Adventure Team” (Ukraine), and team “DareDevils Adventure Racing” (Denmark and France). Teams “Merrell Haglofs Multimania” (Norway) and “Garmin Adventure” (Finland) came respectively in the fourth and fifth positions. Raid in France’s 3rd edition took place from August 27 to 29, 2010. Teams crossed the Hautes-Alpes region; particularly the areas of Buëch and Devoluy. Race highlight: 36 teams participated to this edition, from which 10 gave up and 4 arrived after the deadline. Ranking: team “Team Raidlight ” won the 2010 race, then came team “Expenature.fr”. There was a tie between teams “Lozère Sport Nature” and “Team Raindlink 07 n°2” that both took the 3rd place. Team “Vaucluse aventure / Little Marcel” came 4th. Raid in France’s 2nd edition took place from Mai 31, to June 6, 2009. Teams crossed the Hautes-Alpes, Alpes de Haute Provence and Var regions. Race highlight: 15 teams participated to this edition, 2 of which arrived after the deadline. Ranking: team “Quechua” (France) won the 2009 race, then came “Cateye Outdoor Expériences ” (France), and team “Planete Tonique Acti4” (France). Teams “Vaucluse aventure évasions ” (France) and “Lethiguel qualixpert sofermi RN46 ” (France) came respectively in the fourth and fifth positions. Raid in France’s 1st edition took place from September 15 to 22, 2007. 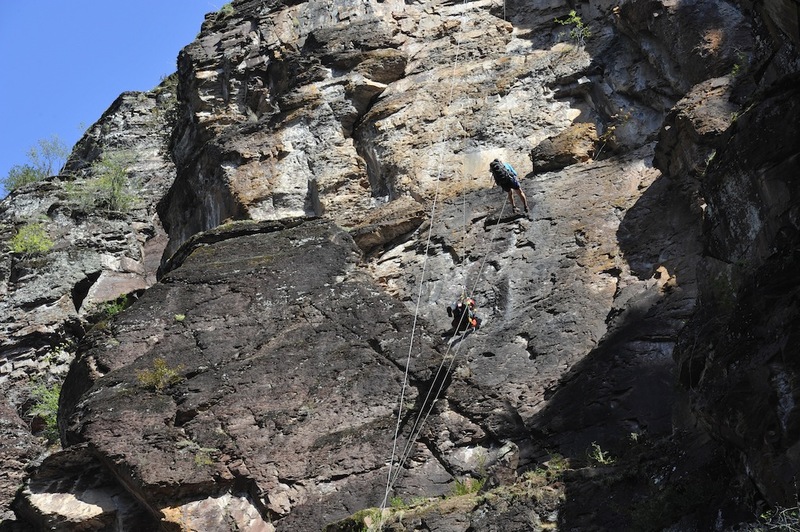 Teams crossed a large portion of the Pyrenees. Ranking: team “Quechua” won the race, ahead of the Ertips Team (France) and the Raidicale Team (France).